When rats and mice enter your property, they need to be dealt with immediately. Otherwise, a number of problems will follow which will result in anything from a chewed wire to the spread of disease. In this blog, we will outline the reasons as to why you need to have any rodent infestation dealt with immediately. If you have found any mice, rats, squirrels, or any other form of pest within your home, give us a call now on 0800 808 5615. Although the severity of these diseases can vary, all of them are highly infectious and hazardous to human health. These illnesses can be transmitted in a number of ways. Firstly, rodents produce nesting debris, faeces, and urine, all of which can be inhaled by human beings. Although even healthy adults are at serious risk of illness after breathing in these contagions, children and the elderly are at severe risk. Humans can also ingest food and drink that has been contaminated by rat and mice activity. When scavenging for food, rodents will leave behind saliva, urine, and faeces. If humans then eat this food or water source, they will also consume bacteria and other contagions. 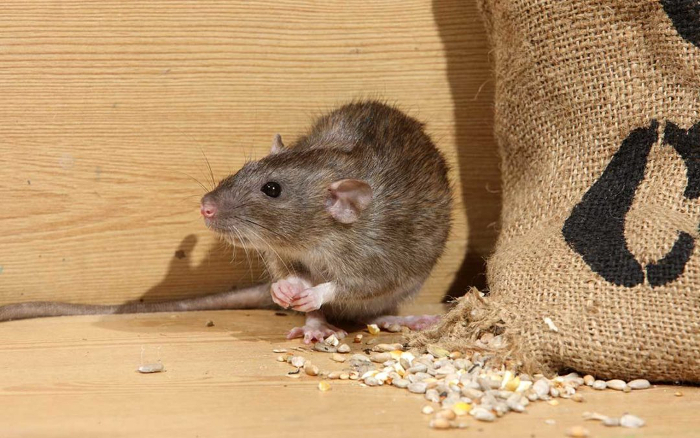 Thirdly, rodents can contaminate surfaces or objects within your home or commercial property. By exploring your home, they will leave behind excretion, gnaw on objects covering them in saliva, and generally leave behind pockets of bacteria. Any humans contacting these contagions are putting themselves at risk. People also underestimate the threat of being scratched or bitten by a rat or mouse. Although they are scared of humans and will try to escape at all costs, they will fight when they feel they are cornered. If you come across a rodent unexpectedly and they decide to scratch or bite in defence, there is a real risk disease will follow. Despite being small, rodents can cause an incredible amount of damage in a short space of time. Firstly, rodents will use their incisors to gnaw incessantly upon things throughout your home. They will chew at wood, furniture, paper, and just about anything else you can imagine. They are known for pulling apart textiles and insulation in order to obtain nesting materials. This can put clothing, furniture, and anything else made of textiles at risk and lead to expensive property or stock damage. They will even chew their way inside furniture, or vehicle seats, in order to create a readymade nest. Rodents will also strip electrical wire of their rubber insulation. At best, this will create malfunctioning equipment which will result in expensive repairs. At worst, this will create a fire hazard. In the UK, one study found that around 15% of household fires were caused by rodent activity. Despite the fact it is rarely talked about, there is a genuine risk that electrical equipment will short and cause a blaze. The longer rodents continue to reside on your property, the more repair bills you will be forced to pay. Rats and mice are talented survivors. There is more to rodent control than buying some traps and placing them around your home; if you are lucky this may trick one or two rodents into getting caught in the contraption, but the infestation as a whole will continue. A genuine understanding of rodent biology and behaviour is required to deal with them effectively. Rats and mice are both intelligent and skittish; any changes to the environment will put them on high alert, and as such any equipment used to trap or exterminate them has to be effective and placed in precise locations. 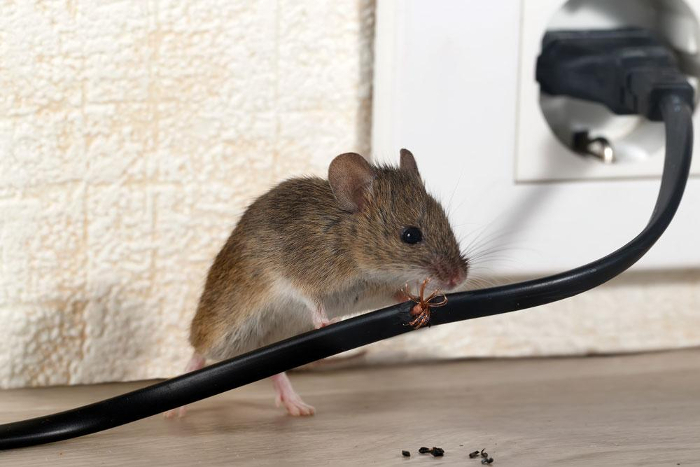 Our rodent control technicians are trained to the highest standard and have many years of practical experience. Regardless of whether you have a couple of elusive rats within your home, or an infestation reaching the thousands in a commercial setting, we have the knowledge and resources to secure a conclusive result. To talk to one of our personnel about arranging a free survey, or to book in some pest control service, give us a call now on 0800 808 5615. Alternatively, complete our contact form, and one of our sales representatives will be in touch as soon as possible.